This was the CD release of Ghost Flower, "the latest length album by singer-songwriter Kristin Cotts, produced by the indomitable Christopher Ussery." 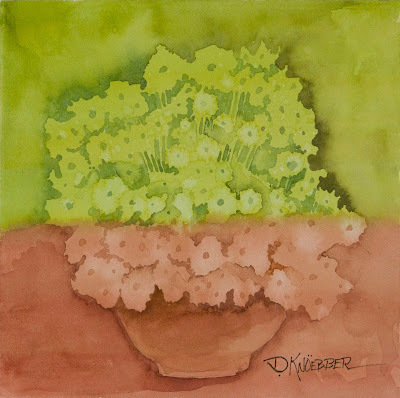 The original painting of Ghost Flower for the CD cover is by David Knoebber. The Ghost Flower release part for my friend Kristin Cotts was at The Outta Space venue in Berwyn, Illinois. I mentions this because it is my kind of place, and I have been here before to photograph other musician friends of mind, and to visit for "just because". If I lived in the neighborhood, or even near the neighborhood, I would be visiting every week. I met Kristin on set of a movie production, where I was lead photographer. She came across to me as a bit shy. Tonight she shown me a totally different side of her. She has a great stage presence, one that floored me. As Kristin has written the music is "Quirky, lyrically-driven bohemian-surf-rock songs that occupy the space between reality and fiction, knowledge and dream: that exact place where light bends and refracts". My words, pretty cool. Some of her tracks remind me of softer Dolores O'Riordan and The Cranberries, which I like a lot. Opening for Kristin was singer-songwriter Cheryl Lynn Tomblin of Berwyn, accompanied by Joe Fournier. I must say I fell in love with Cheryl's voice and presence. Here are some photographs of the evening, starting with some of the inside of The Outta Space . . .
Of note, the band name Authentic Weirdo was made up for this night, being they did not have a name yet. In a lot of ways I think the name works to a broad sense. The live music has a definite authenticity to it. The show in its entirety is fun, bantering, a bit non conforming. Like calling this first instrument that Kristin played a "Ghostophone", a name made up by Chris. Just part of the weirdness of the evening. Note, this was the first time she ever played the Ghostophone! The title and track Ghost Flower were not part of Kristin's original set of songs. The album was pretty much done, as she wrote, and they were trying to decide what to call the album. She had already owned the painting from David Knoebber titled Ghost Flower, and chose to go in that theme, along with writing the title track that would give the title meaning.